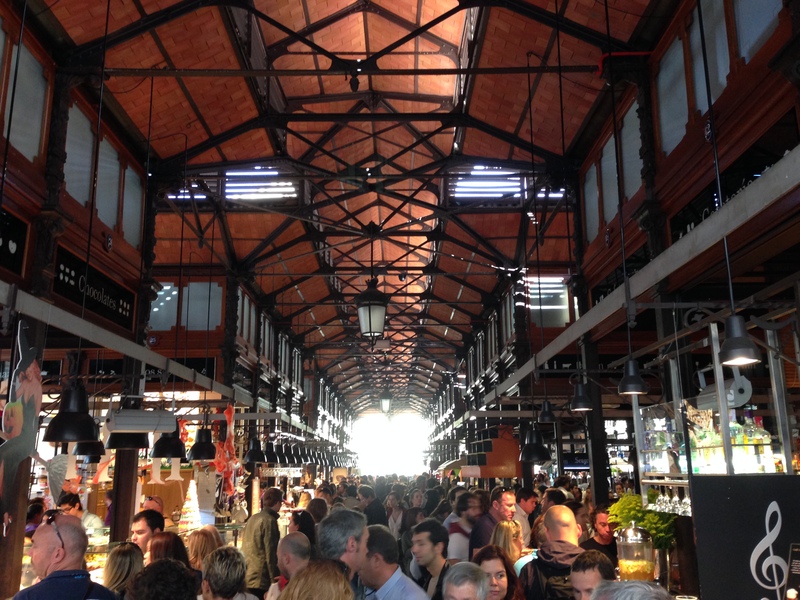 El Mercado de San Miguel in Madrid is filled with many delicious foods to choose from. Along with the stuffed olives from Encurtidos, these three items bear particularly special mention. Sweet carrot cake rolled around a rich dark chocolate spread and dusted with sugar. 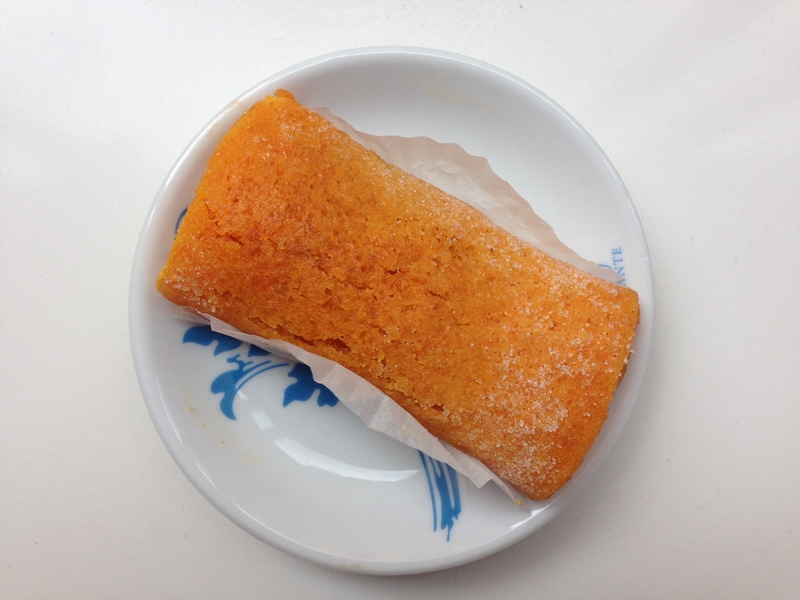 I ordered this odd-sounding concoction purely out of curiosity: it looked like a bright-orange flexible carrot cake roll-up filled with chocolate paste, and I couldn’t imagine what that combination would taste like. Turns out it was one of the most delicious treats I have ever had. The rice flour cake was springy and moist with an almost mochi-like texture, and the dark chocolate paste inside was flavourful and rich. 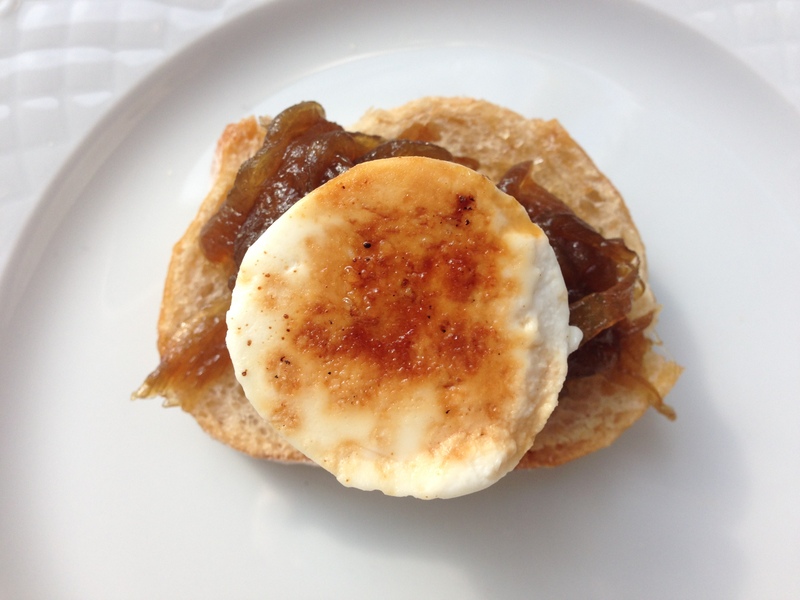 A slice of toasted baguette topped with sweet caramelized onions and a disk of soft goat cheese with a bruléed top. I love Serrano ham with tomato bread, but this delicious concoction from Cafeteria in the San Miguel Market takes first place as my favourite pincho. 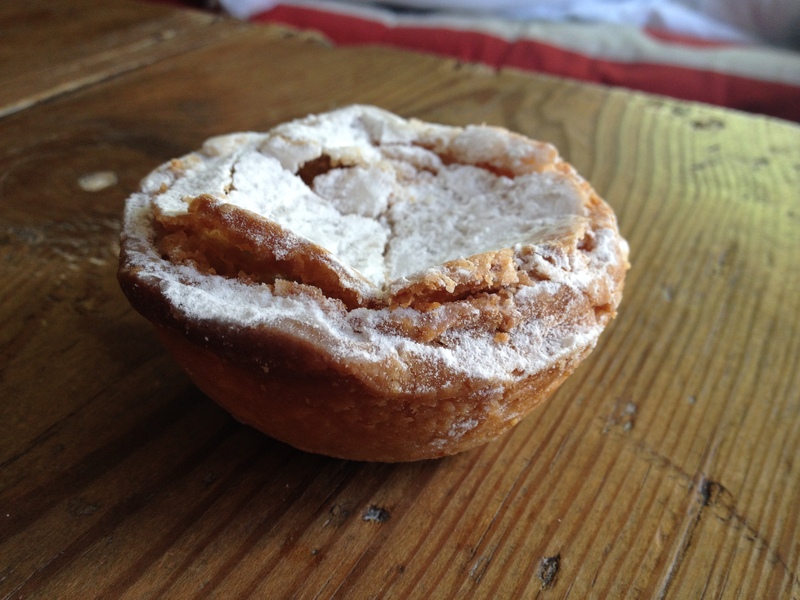 A delicious handmade artisanal pastry cup with a flakey, sugar-coated crust and filled with a sweet egg center. The crust is buttery, sugary, and surprisingly crunchy, while the inside is soft and springy. The result is what I would describe as a cross between a butter tart and a custard pie—the sum of which is even better than either of its parts. wow–yum! Thanks for sharing 🙂 I don’t travel anywhere near as much as I’d like to and am depending on you to show me the sights 😉 Looks like you continue to find amazing food. No supe que estuvieras en Barcelona, ¡me encanta Barcelona! Tendré que ir al Mercado de la Boquería la proxima vez que voy. ¡Gracias!